The leaders of Ethiopia and Eritrea made a joint visit to celebrate the Ethiopian New Year on Tuesday with their troops on the border, in a further step toward warmer ties between two countries that fought a war two decades ago. Ethiopia's Prime Minister Abiy Ahmed and Eritrean President Isaias Afwerki made the visit at Bure, a region that saw some of the fiercest fighting during the 1998-2000 war, in which 80,000 people died. 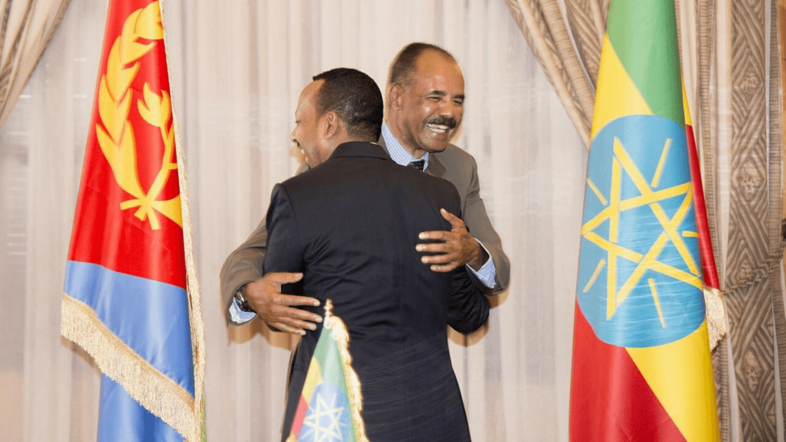 "PM Abiy Ahmed and President Isaias Afwerki are visiting Bure Front along Ethio-Eritrea border to celebrate the New Year with members of the Ethiopian & Eritrean Defense Forces following the full normalization of the relations between the two countries. #Ethiopia #Eritrea," Fitsum Arega, Abiy's Chief of Staff, said on Twitter.